Oscars red carpet, part three. The fave here is... Reese Witherspoon's ponytail. And Celine Dion's tight-fitting sheath. On another note: what is Sharon Stone doing there? And when will Gwyneth Paltrow succumb to the pleasures of a full, hearty meal? Oscars red carpet, 2011 and there are only two words... Mila Kunis. This actress has really come into her own this awards season. Every dress she's worn has been heaven. This one is no exception: a lavender, lacy concotion from Elie Saab Haute Couture. Another fave is the dress worn by Jennifer Lawrence, the actress from the movie Winter's Bone. She wore a bright red Calvin Klein Collection dress, made for her by Francisco Costa and it is so on the mark for one reason alone: it's simple. She lets the dress - and her luminous beauty and killer bod - do that talking. A winner. The Oscars 2011 red carpet is here! This year's offerings are the same as last year, ie, the stars are styled within an inch of their lives so they rarely set a foot wrong. What do you think? Who is your fave? Mine are mummy-related: the va-va-voom Penelope Cruz and the mum-to-be gorgeousness of Natalie Portman. Funnily, all three chose a hue from the same colour family of purple... guess what the hottest trend will be this winter...? The Joy Jewellery brand has launched a new charity bracelet in support of cervical and ovarian cancer. Many women in Indonesia are faced with poverty, illness and hardship. A foundation has been established to support women who can not afford basic medical treatments, such as pap tests. This foundation sets up clinics throughout remote villages and offer local women the opportunity to be checked and provided with adequate medical care if they present with dangerous cells. 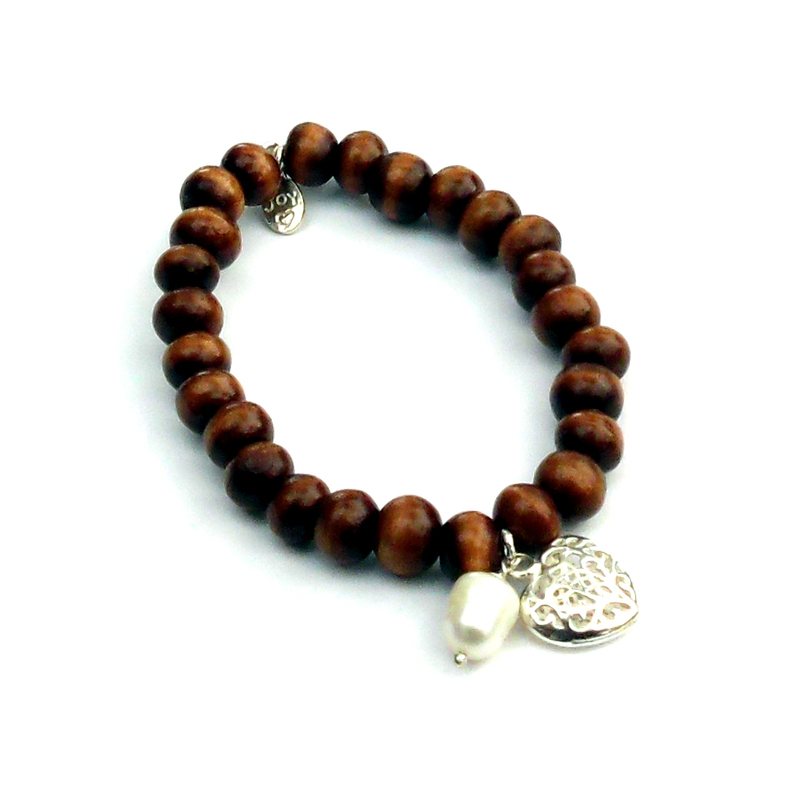 Joy Jewellery has created this gorgeous wooden bead, pearl and sterling silver charm bracelet in support. In the latest issue of Harper's Bazaar UK, Gwyneth Paltrow looks gorgeous, photographed by Alexi Lubomirski and styled by Sophia Neophitou-Apostolou. Gwyneth wears Gucci, Tom Ford, Dolce & Gabbana and Louis Vuitton. Inside the magazine, Gwyneth talks about her live performance at the Country Music Awards, living in the UK, and her lifestyle newsletter GOOP. She says, "Any time you do anything with any degree of sincerity, people make fun of you. That’s totally fine. I don’t care. I don’t read any of it. My thing with Goop has always been, if you don’t like it, then don’t log onto it. There were a couple of times when I thought 'I’m just gonna stop doing it. People are so mean to me. I don’t want to do it.' But then I was like, 'Who cares what some lame person out there says?' I was in Italy once, and this old man came up to me and said, 'I had the best time in Nashville because of Goop.' And that is so worth it to me." Paltrow says she loves living in the UK, but also misses America. "In England, people are cool. They're really laid back and calm. Beyonce did the school run with me once, and everyone was fine. They also have really good anti-paparazzi rules. If you're driving in a car and they make you feel freaked out, that's against the law. They can't put you in a magazine unless they pixelate the kids' faces. I miss America, but I love living in the UK." The launch party for the premiere episode of Arena's new reality show Park Street was held at ACP haunt Bambini Trust Restaurant and Wine Room last night. Attendees included ACP stalwart Deborah Thomas, Channel Nine CEO David Gyngell, Foxtel regulars Laura Dundovic and James Kerley, Tim 'Rosso' Ross and his wife, PR Michelle Glew, and the PR supremo behind the hugely successful Cleo 'Swimsuit Issue' party held at Ivy, Roxy Jacenko from Sweaty Betty PR. Of course, the editors of the magazines showcased on the show were there, and no doubt lots of chatter about the show premiering later that evening. 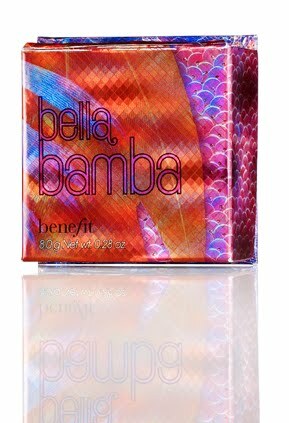 Benefit Cosmetics is renowned for their little box-o-powder wonders, and now they're introducing Bella Bamba – a face powder with a 3D brightening effect. The shimmering gold undertones of this watermelon powder gives you a triple dimension pop of pink... it brightens! It sculpts! It defines! I am already a bit addicted to the gorgeous flush it gives cheeks (it smells nice, too). Add a slick of neutral lip gloss, a brush of black, black mascara (I am partial to Benefit's Bad Gal Lash), and you are good to go. Jennifer Aniston. Justin Bieber. New haircuts. That is all. Rachel Zoe Collection: "I Die"
Emu Australia - WIN a pair of Winter Ugg Boots!